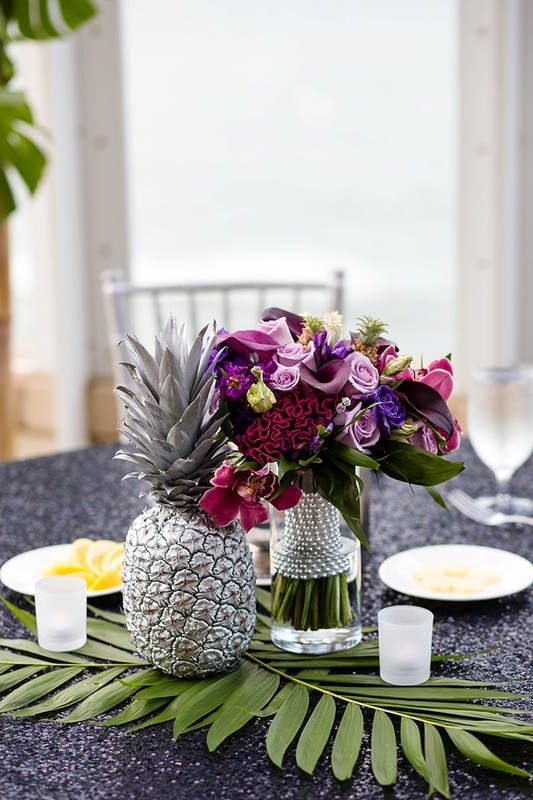 As beach lovers, Akira and Alton envisioned a celebration for family and friends that exuded glamorous paradise vibes. 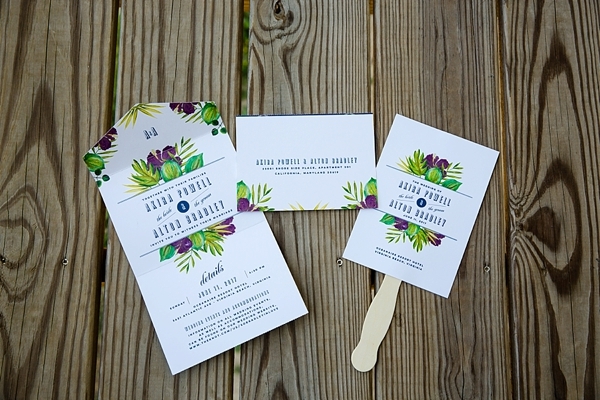 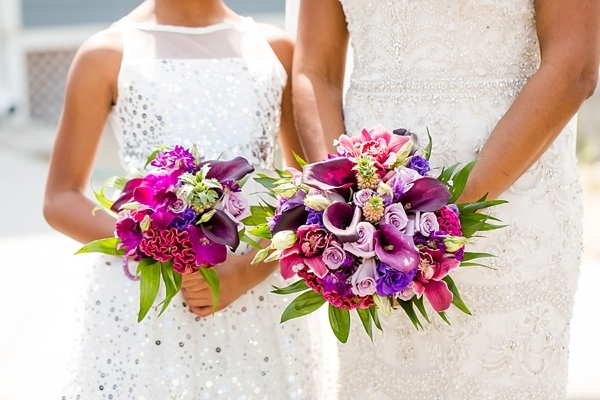 With their wedding colors of violet purple, emerald green, and the bride's favorite color "bling! 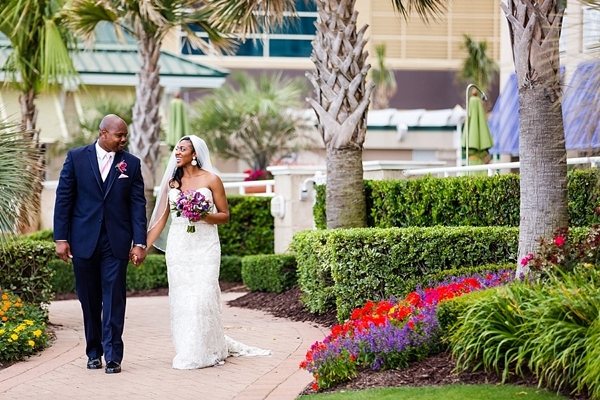 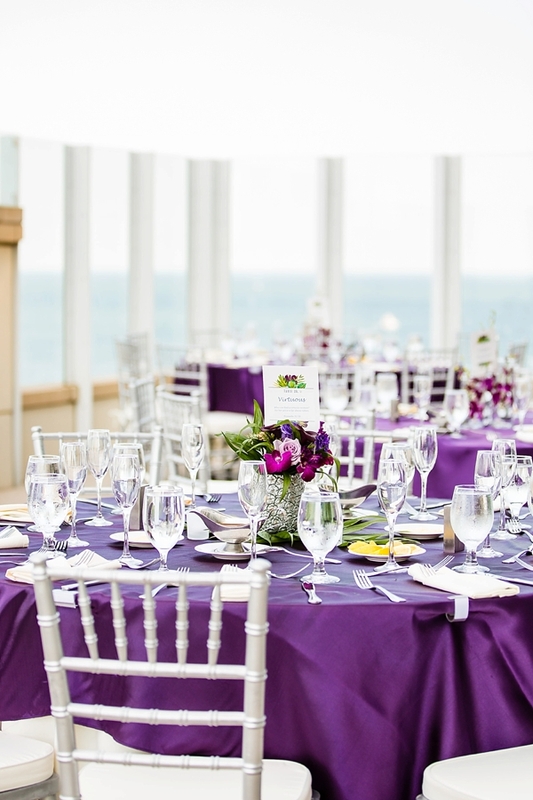 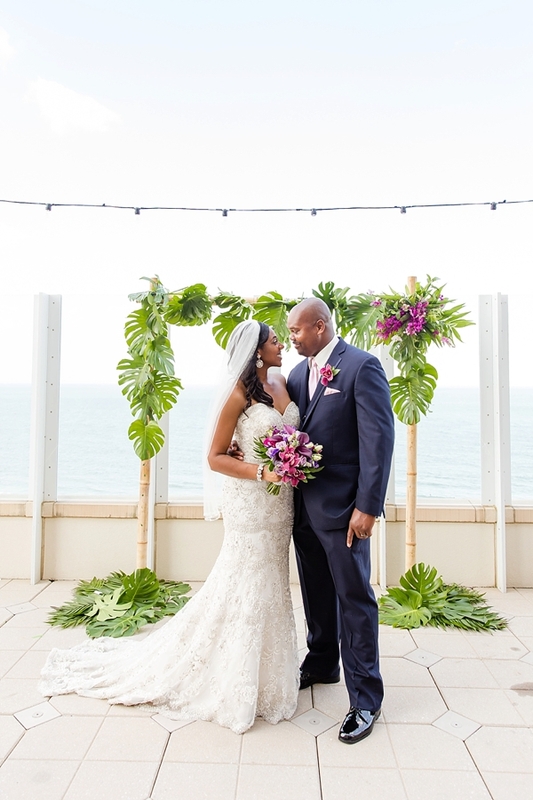 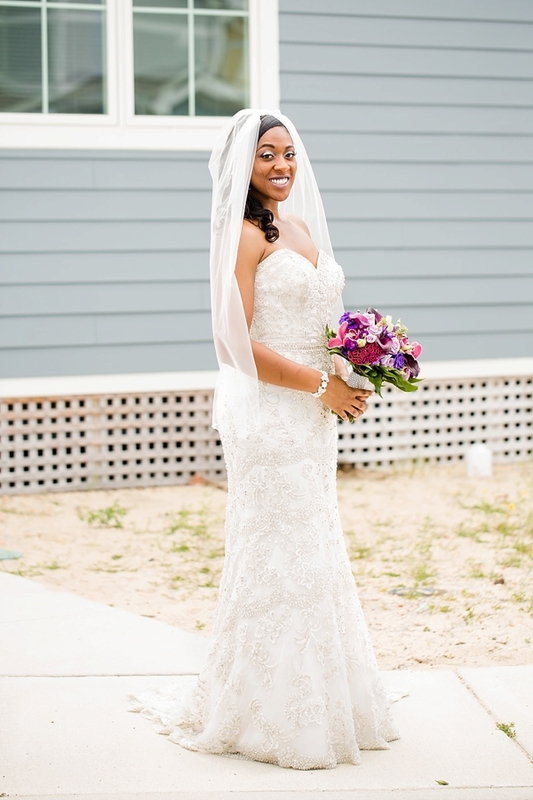 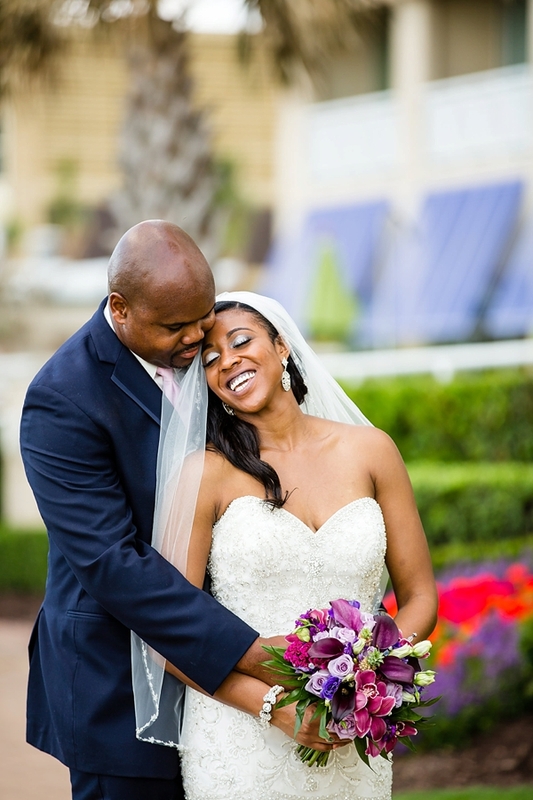 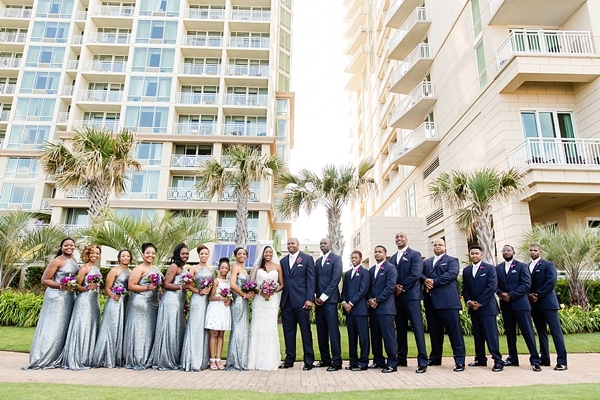 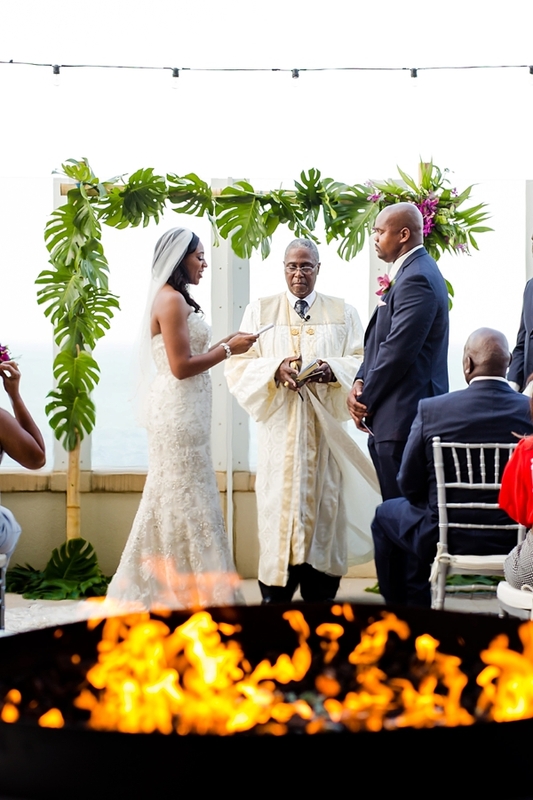 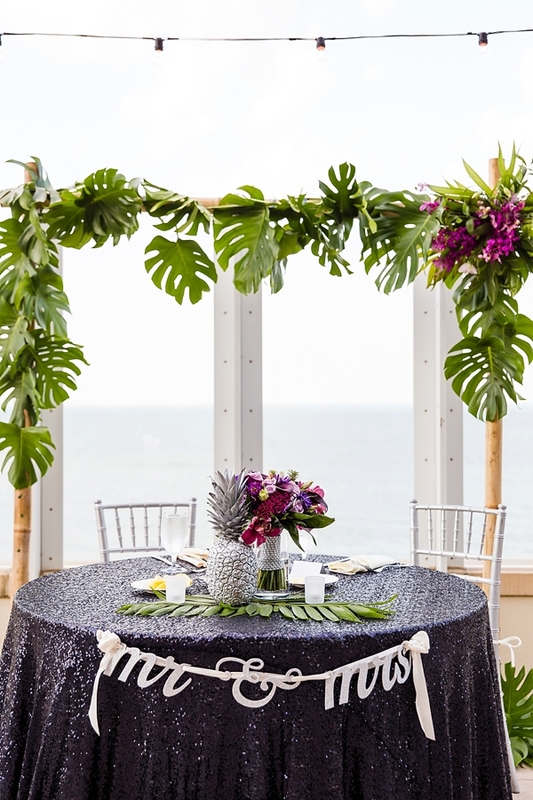 ", it was a tropical rooftop wedding to remember at the Virginia Beach Oceanfront! 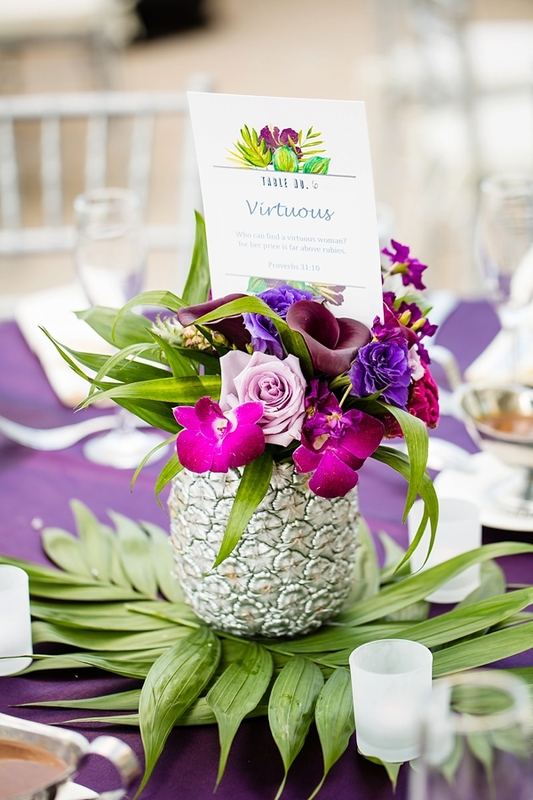 Captured by Daissy Torres Photography and coordinated by Events by Jacklyn, some of our favorite details were the monstera leaves and bamboo arch, the silver pineapples for a glamorous touch that also symbolize hospitality (even those adorable mini pineapples in Akira's bouquet! 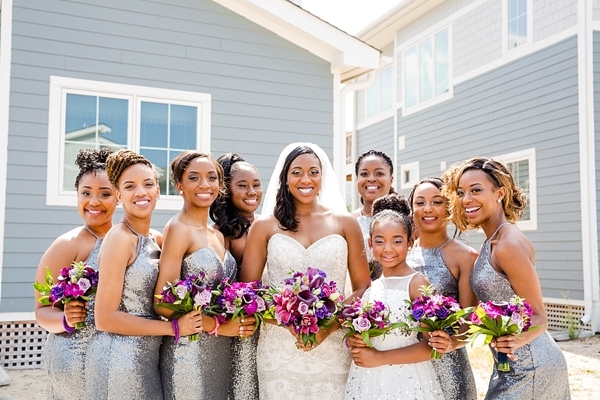 ), the bridesmaids' ultra-chic sequin dresses, and the live musician for cocktail hour. 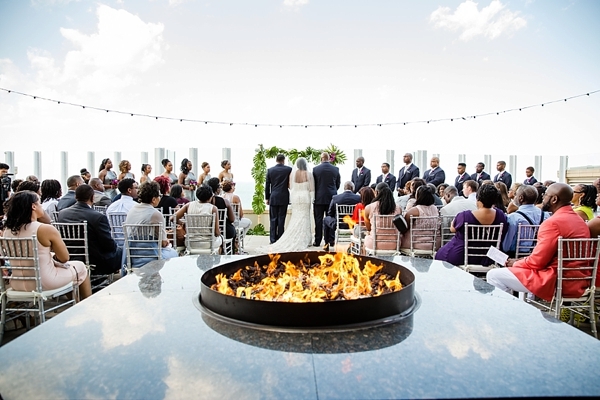 In lieu of typical ceremony traditions, Akira and Alton made their vows of commitment to each other as the heart of their wedding (which was also mirrored in their Bible verse-inspired table numbers). 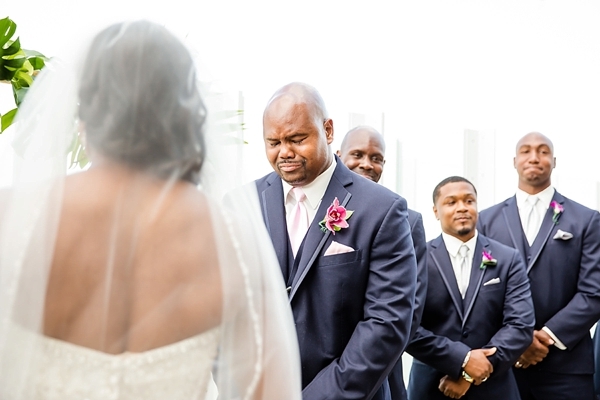 Get ready to have your heart majorly squeezed because Alton's reaction to Akira's entrance is everything. 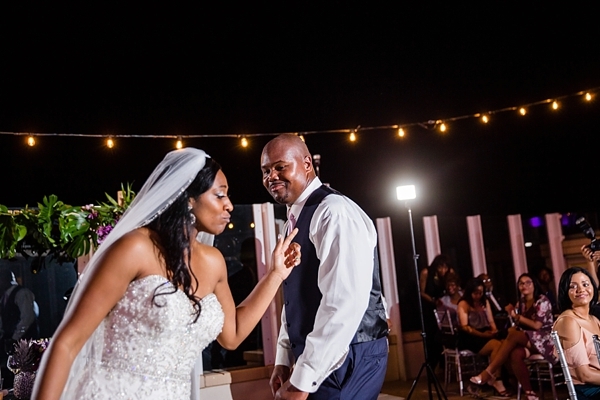 In his career, he is a no nonsense kind of police officer, yet when he saw his future wife enter their ceremony space, he was overcome by every emotion possible. 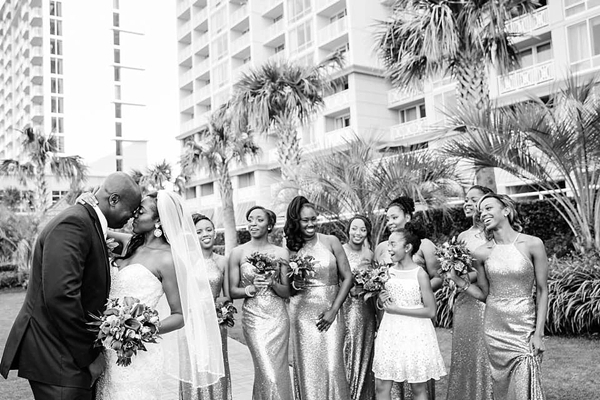 Those kind of moments are what we live for when it comes to the wedding days!